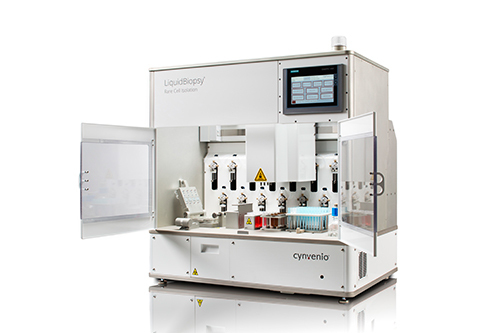 Cynvenio Biosystems, with its LiquidBiopsy® rare cell isolation and genomic analysis platform, is at the forefront of cancer diagnostics. Rather than rely on tissue biopsies or counting circulating tumor cells in the blood, this technology extracts and sequences those cells’ DNA. That, in turn, makes possible real-time analysis of specific alterations within tumors that affect treatment decisions. Historically, blood draws have merely counted circulating tumor cells. “That doesn’t provide a decision point,” says Paul Dempsey, Cynvenio’s CSO. The molecular analysis of circulating tumor cells, however, enables physicians to design treatment regimens based upon their molecular character and, thus, improve outcomes. Not only are blood samples easier to obtain, but “blood draws let physicians sample tumor cells at intervals through patients’ treatment, remission, and potential recurrence,” Dr. Dempsey explains. “Cancer is a dynamic, quickly moving disease that needs to be monitored over time.